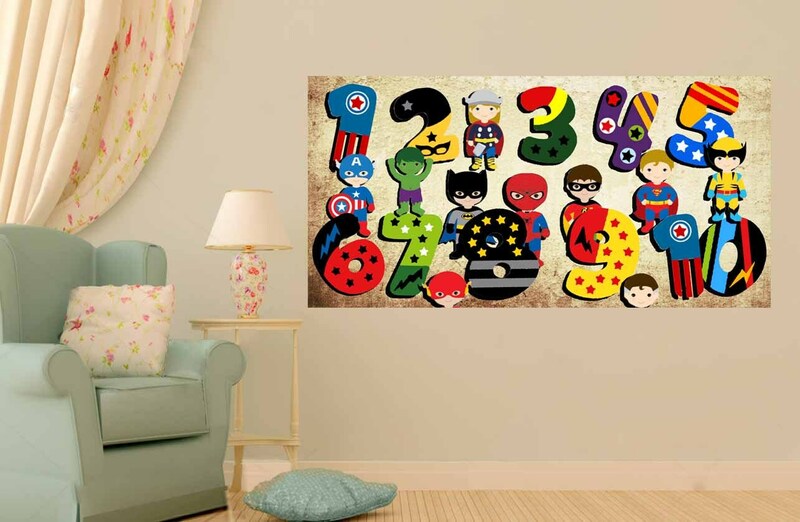 Kid's Room Wall Decal and Poster. 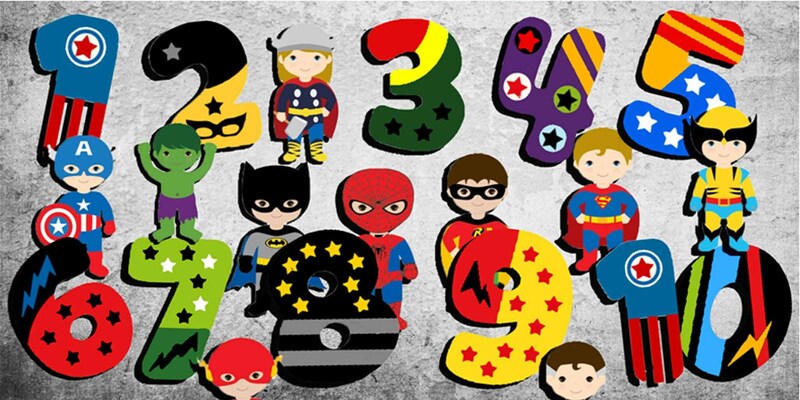 "Superhero Numbers". 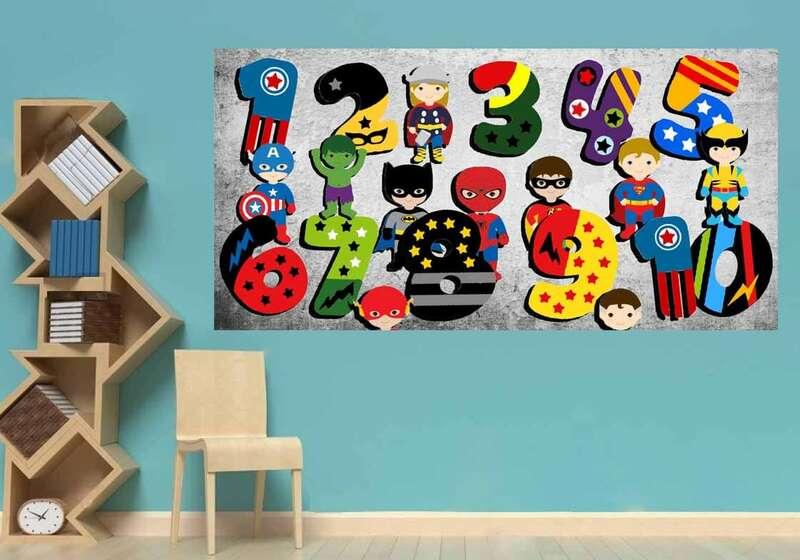 The wall decal material is made out of canvas so you won't tear it when you remove and stick it somewhere else.